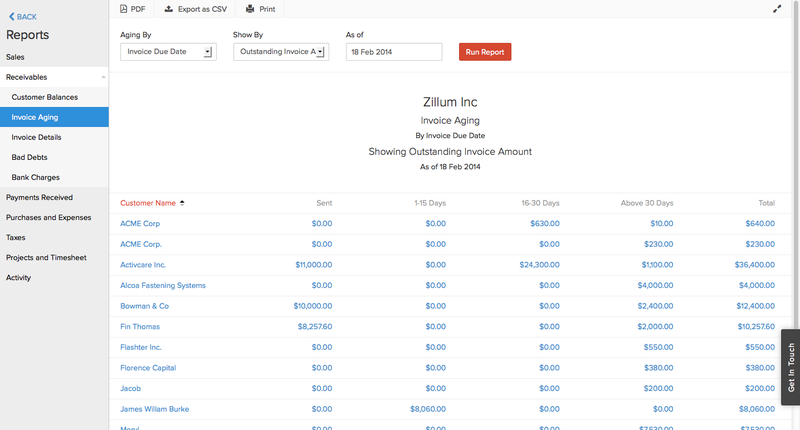 What is Zoho Invoice ? 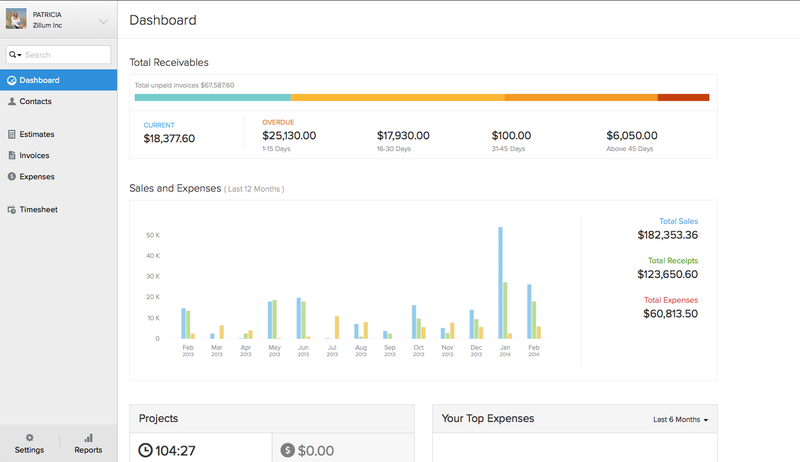 An user-friendly software meant to assist freelancers and small businesses in creating customized invoices. The software allows the businesses to effortlessly track time for projects and prepare the invoices accordingly. 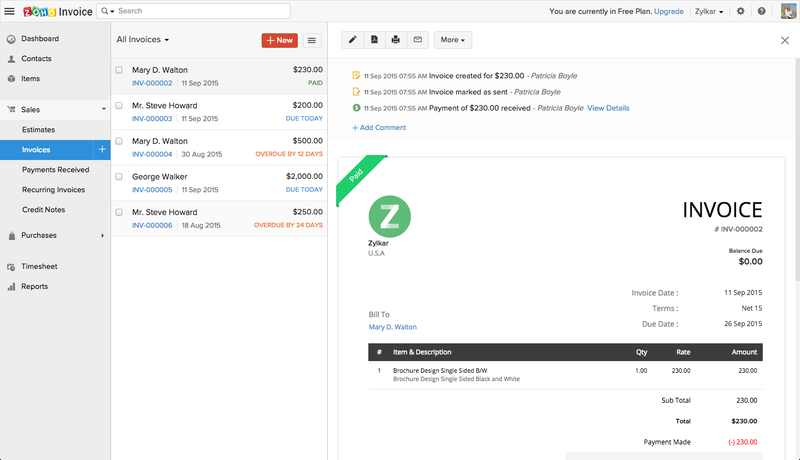 Zoho Invoice also provides businesses with a platform to effortlessly create invoices and email it to their clients within minutes. The automated reminders feature of this software will help you send timely reminders to your customers and ensure you are paid in time. It also has online payment gateways which enables you to get paid online without much hassle. By installing its iOS and Android apps, you can keep a track of your business activities from anywhere. 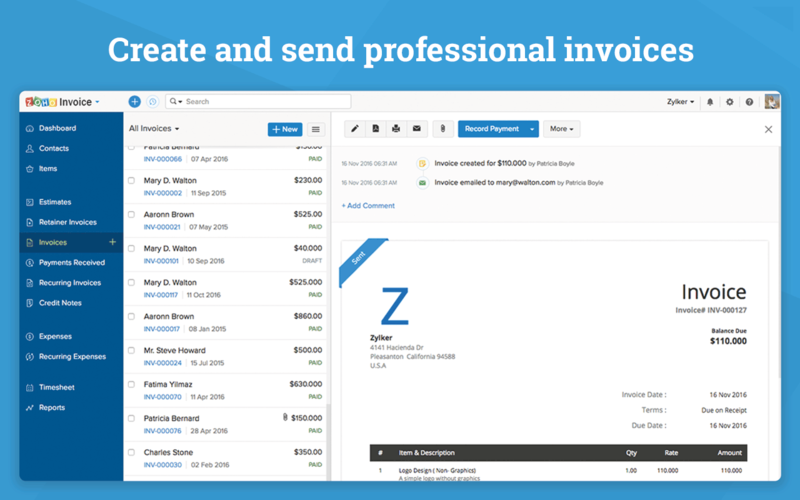 How much does Zoho Invoice cost ? 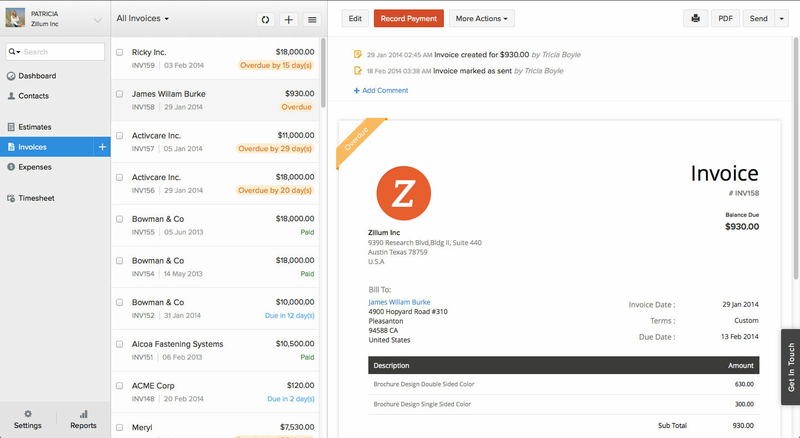 The pricing for Zoho Invoice starts at $90.0 per year. 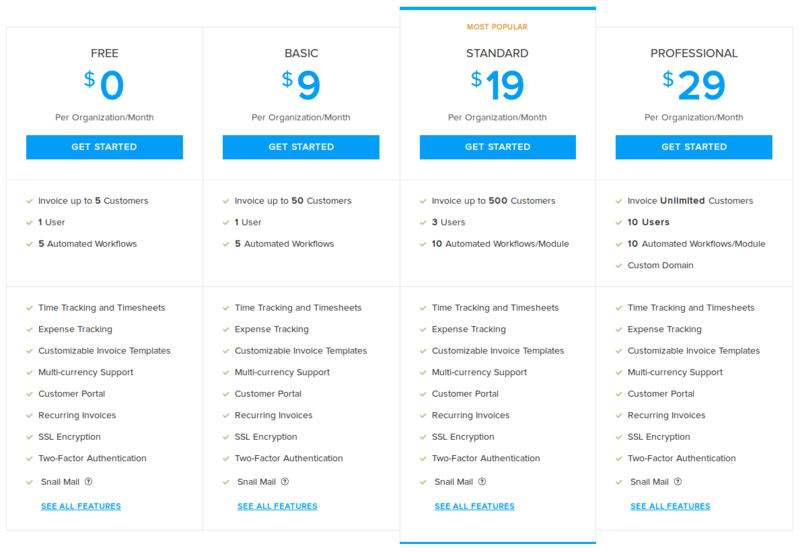 Zoho Invoice has 3 different plans such as - Basic at $90.0 per year, Standard at $190.0 per year and Professional at $290.0 per year. 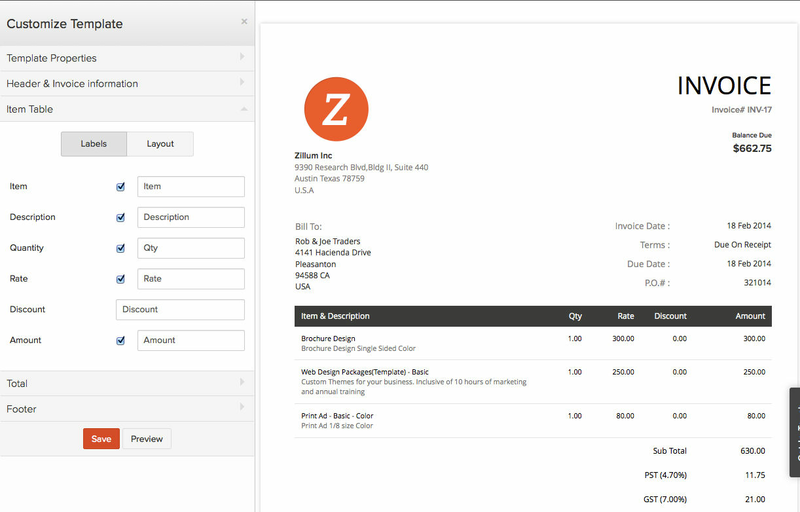 Zoho Invoice also offers a Free Plan with limited features. "Quite an awesome suite solution." It's cost friendly hence making it the most suitable . It's quite a good website builder especially if you use CRM. It enables you perform a variety of tasks . Track keeping is quite hard due to this many tasks option , sometimes you get lost on the way . 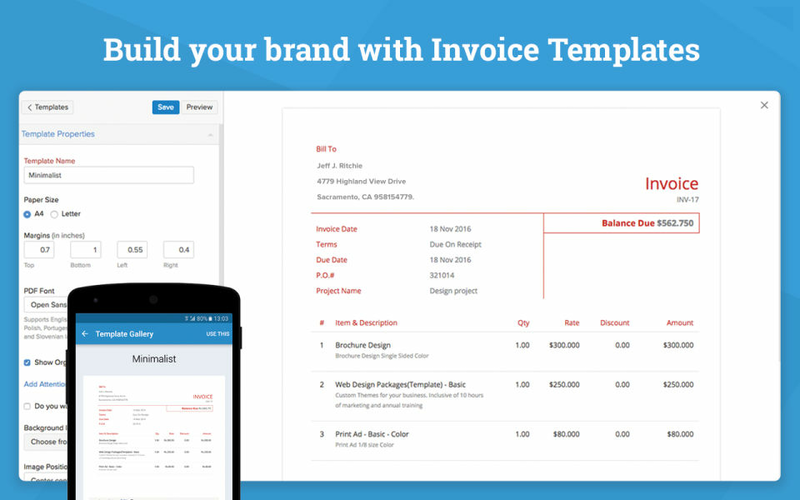 It's one of the best invoice management ,cost friendly and makes sales easy . 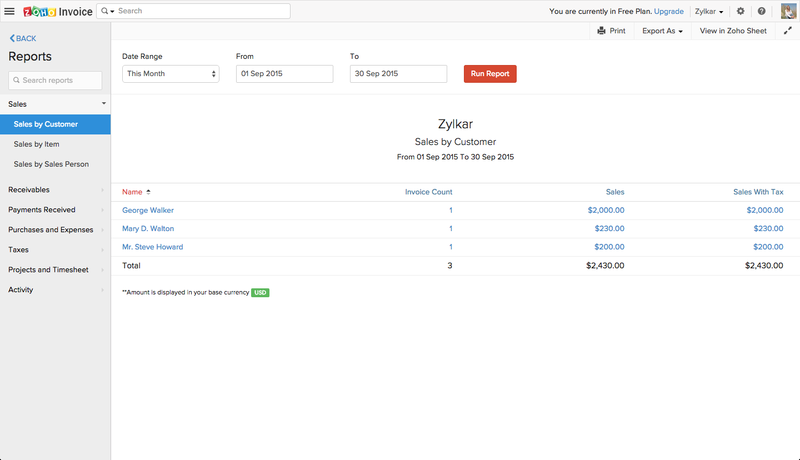 Making sales easy and doing our invoices in time ,it integrates with other apps making it easy to use. 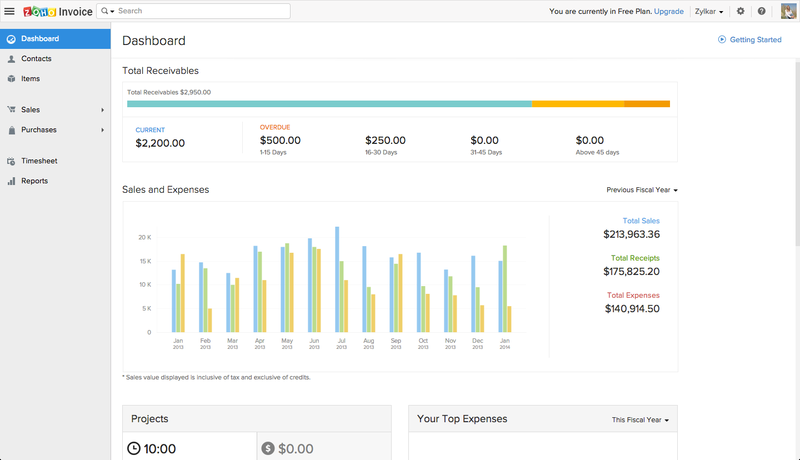 Pros: The free service makes it great for someone starting or learning how to use invoices with no overhead. Its easy to use and print reports for file keeping, and visually appealing to customers. Cons: If you are looking for more advanced features like advanced payment processing or sending to more than 5 users. etc, you will want to use the pro version or most likely look somewhere else for the price you pay. The customer service is terrible and outsourced to other countries. This is an issue if you need any assistance whatsoever. Overall: Overall starting out it was ok. Even though there were setbacks it helped on a budget. However there are much better programs out there that are less maintenance and easier to use. Pros: This is great for my small side business. Very easy to use and loved the payment reminders. Cons: Sometimes the user interface can get overwhelming. 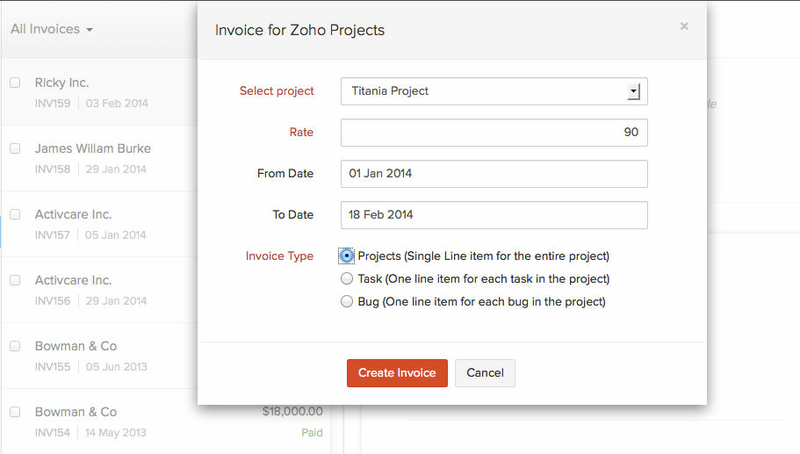 Pros: When I was researching Invoicing software to replace my long term use of FreshBooks I came across Zoho. I like how simple it was and how it was targeted to small business. 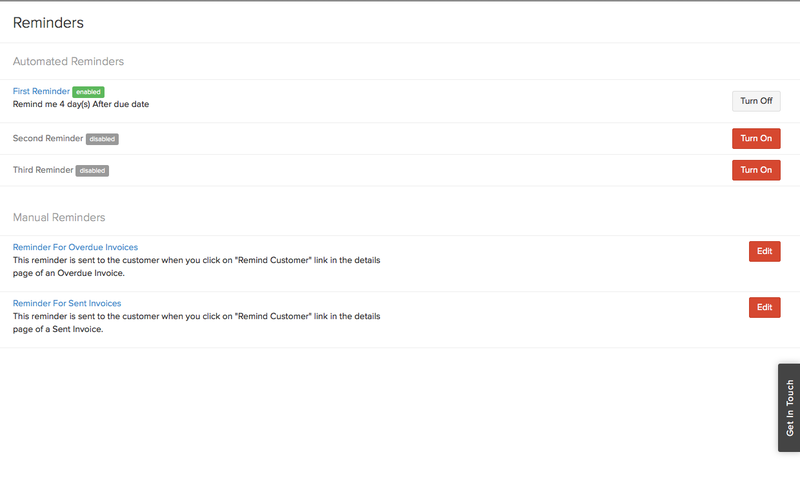 I really liked their customer portal to send invoices to clients and have them review their accounts. Cons: I wish Zoho would offer a little more flexibility with their free tiered account, I don't have high enough volume for their next paid feature set but their free version was limiting. 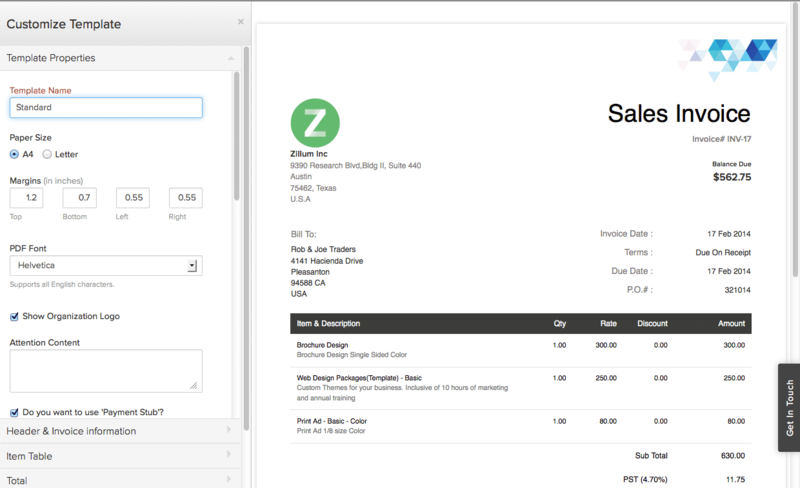 Pros: Started using Zoho Invoice because I'd already had experience with Zoho CRM + docs. It's just fine, keeps track of sending and reminding for overdue as I expected. Some settings are a bit hidden/hard to figure out, but after a little bit of clunking around I got it set up to an acceptable level. Cons: All Zoho services are in the cloud, which can be a two-edged sword. If you suddenly have to pull up an invoice and don't have service/Wifi, you might be stuck. 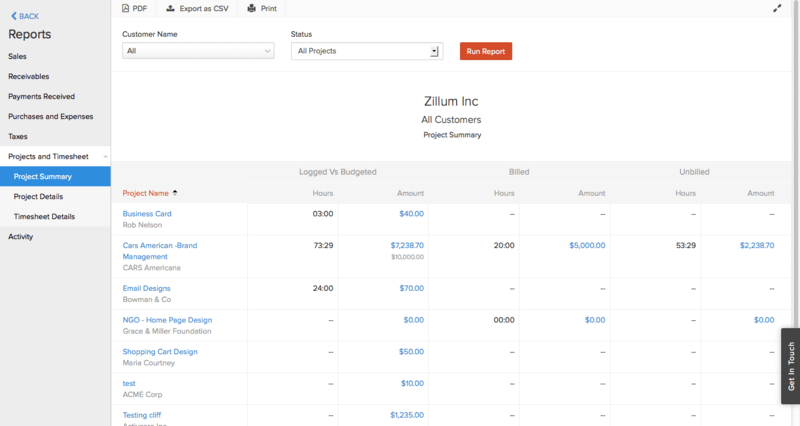 Pros: Zoho Invoice is one of those products where you recognize that the developers really thought of all the features an end-user would need and built them into an intuitive interface. Every time I've desired a functionality, I've found it in Zoho Invoice's settings. Because the software's features are extensive and intuitive, the platform is a pleasure to use. Cons: I do not have any major concerns with the Zoho Invoice platform. 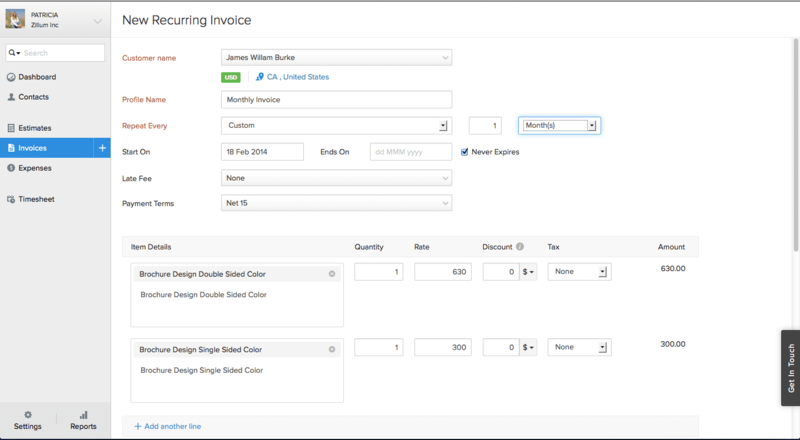 A desire I do have is for greater customization of invoices and estimates. I hope to see a larger library of document themes in future iterations of the platform. Overall: Zoho Invoice is a wonderful product because it helps me maintain a professional and trustworthy relationship with my clients. I'm glad I have Zoho Invoice to keep me on track with invoice billing and estimate building-I'd be stuck without the software! Cons: The reports of the mobile app can use some improvements. Pros: I have been using this product for the last 6 months. Since I am working in small company, invoice generation and billing is a majour issue. And zoho invoice is the best solution for that. It is very easy to use.You can generate and send invoices very easily. The best part is the templates. 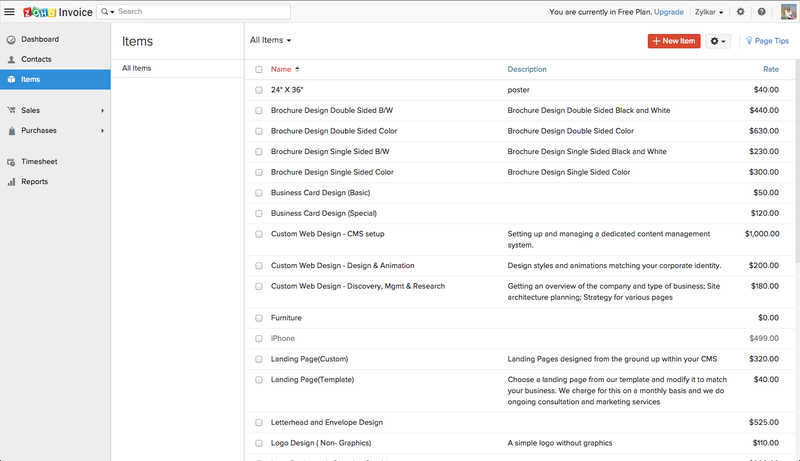 You can select a template and all you have is to edit your company logo and content. This makes your invoice professional. Also the pricing scheme is attractive. Overall I love this software. Cons: I will say this is a perfect software for invoice generation.I didn't find much drawbacks with this product. Still for a person with out much knowledge in accounting may find it difficult for the first time. But once you start using this product, it will be easy to use. Overall: I am really satisfied with his product. It saved my time a lot. For invoice generation, you don't have to worry much about template, tax calculation etc... Also in a very cost effecting method.This is the best option for small and medium companies for invoice generation. Thank you team for a perfect product for invoice generation. 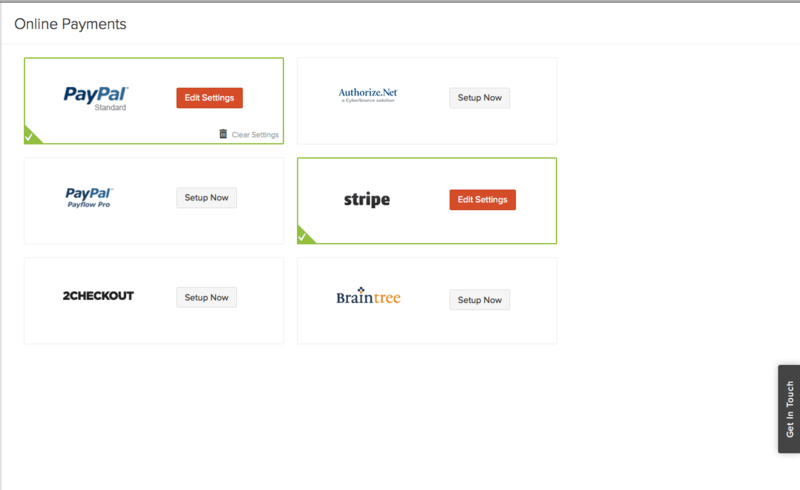 Pros: So Zoho was not my first choice with accounting and invoicing software but I am so glad I switched to it. This software allows me to invoice on the go right from my phone or ipad. 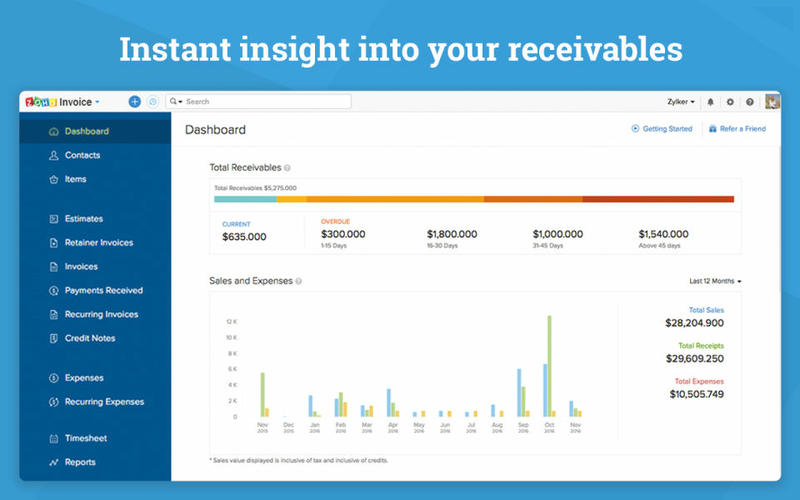 It makes invoicing seamless and effortless. Cons: I have used the software for a good year and I have yet to find a downfall of it.